Jolly Roger Amusement Park - With six different locations, there's plenty of ways to put a little excitement in your vacation! Between rides and roller coasters, Splash Mountain Water Park, and Speedworld Racetracks, there's never an end to the fun you can have at Jolly Roger! Group rates available. Location: 29th St. & Coastal Hwy. 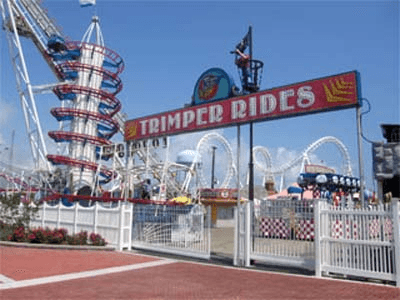 Trimper's Rides & Amusements - Trimper's is the perfect spot for fun and games during your summer vacation! With a wide array of rides and carnival games, there are so many activities to choose from! But the highlight? One of the nation's oldest still-running carousels! This merry-go-round is nearly a century old! Take your family to this family-owned park and have a blast! 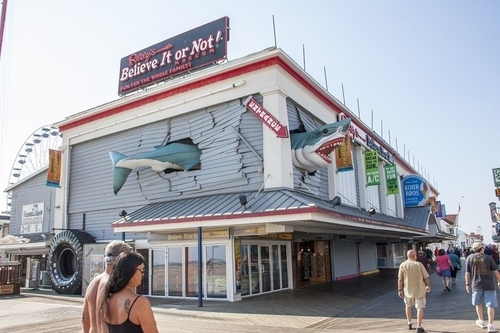 Ripley's Believe It or Not - For fans of the weird and wacky, this fun-filled museum is the place to go! Tour the museum and see the strange and peculiar or try your hand at the Mirror Maze! If you're looking for a real challenge, try the nearly impossible LaseRace! You won't believe the fun you'll have! …Or will you? Bahia Marina- This marina has a great selection of small boat rentals and charters! 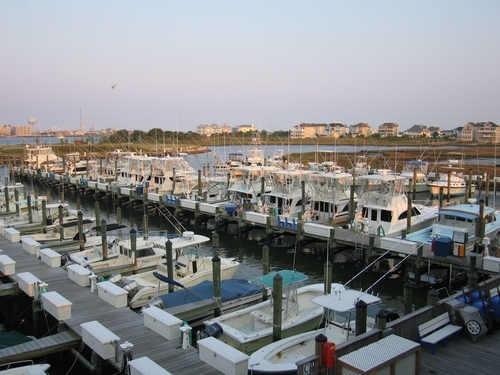 Ocean City Fishing Center - This center has over 160 boat slips to rent and charters! 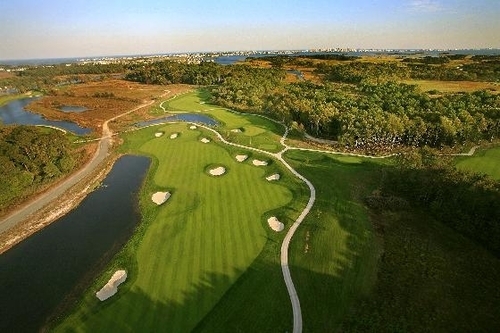 Bayside - Delaware's first Jack Nicklaus Signature Golf Course, this course has a gorgeous design. Conveniently located just across the Delaware line, this is one of the Eastern Shore's best courses. Take in stunning views of the marshlands, forest, and Assawoman Bay, as you hit the ball right into the hole! 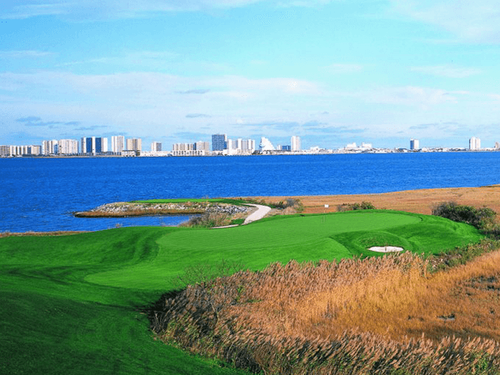 Eagle's Landing Golf Course - Voted Best in State by Reader's Digest, this course is conveniently located just minutes from Ocean City! Lighthouse Sound - This course is more than just a golf course— it's a natural wonderland! The entire course is built to preserve the surrounding natural habitat. But Lighthouse Sound isn't just for golfing— it's great for weddings and other special events! 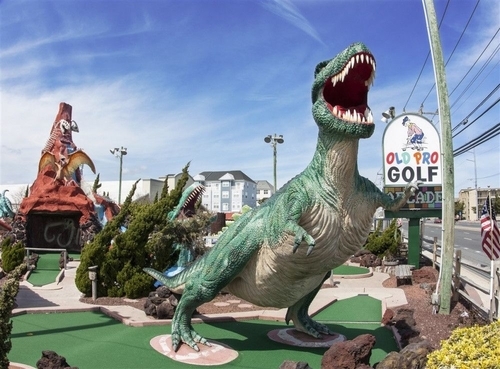 Old Pro Golf - With four great locations, Old Pro is Ocean City's most popular spot for mini golf! Each location has its own theme, from medieval to under the sea! There are two indoor courses for rainy days and one course with 36 holes! You'll feel like an old pro at Old Pro! Location: Various on Coastal Hwy. 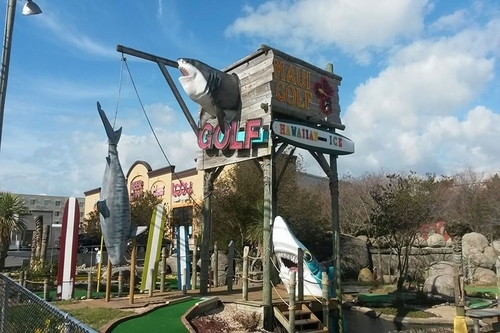 23rd St., 28th St., 68th St. & 136th St.
Maui Golf - Guarded by a ferocious shark (just kidding! ), this course is like a mini trip to Hawaii! This course is gorgeously manicured, lush and surrounded by beautiful flowers and greenery. 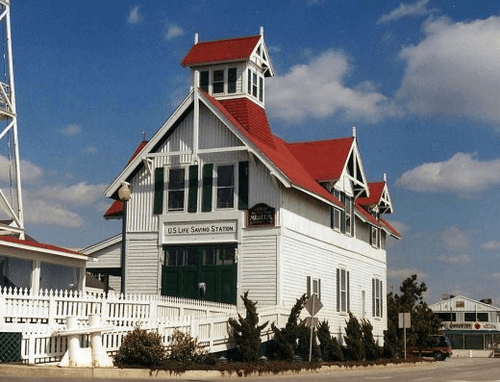 Spend an hour on an island on the other side of the country and then come back for more Ocean City fun! Location: 57th St. & Coastal Hwy. Scamper Camp - The perfect camp for tots, this camp is open to kids ages 3 1/2 to 5! Camp Horizon - For the big kids in your family, this camp will be a blast! Open to kids ages 5 to 12! 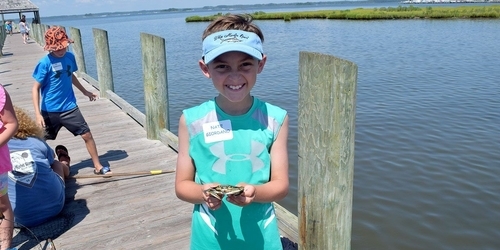 Full List - See the full list of day camps available in Ocean City here! 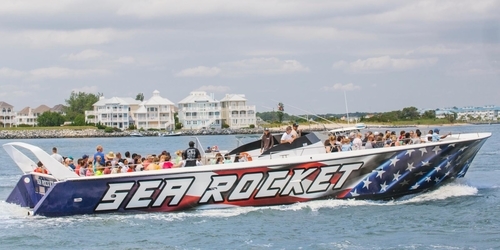 OC Rocket - Hitch a ride on Ocean City's fastest speedboat! Race dolphins and enjoy the breeze! 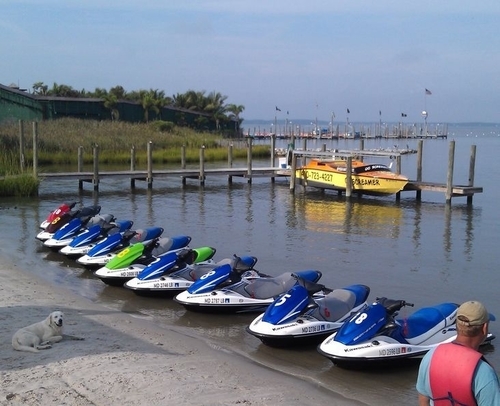 Sea Rocket - Speed along the coastline and enjoy wonderful views of Ocean City! 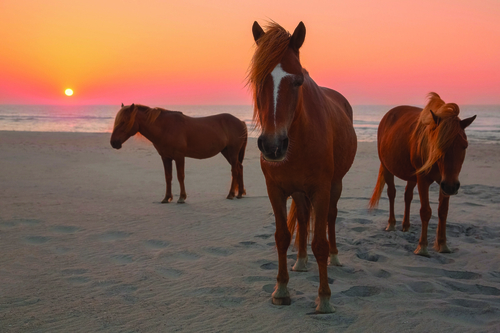 Assateague Island Beaches & Visitors' Center - Come and enjoy the nature and wildlife of the famous Assateague Island! Meet the ponies or walk one of three hiking trails! Take a boat cruise or kayak tour! And don't forget to stop by the Visitors' Center! There you'll find educational exhibits, a touch tank, a gift shop, and a highly informative film about the island! 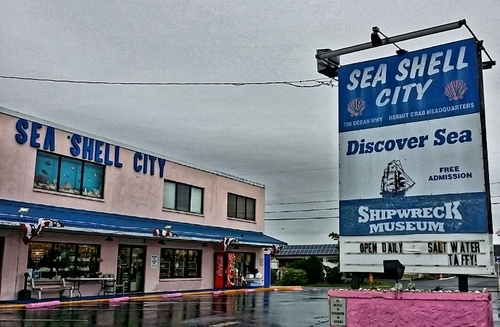 DiscoverSea Shipwreck Museum - Check out an exhibit of over 10,000 artifacts from local and international shipwrecks, some dating all the way back to the 1600s! Learn about life aboard a ship and the fates of each crew! There is no admission required, but donations are always welcome. 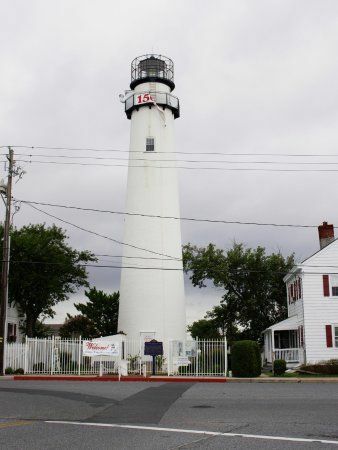 Fenwick Island Lighthouse - Learn about the area's rich maritime history at this 150-year-old lighthouse! This lighthouse has been instrumental in guiding our ships to shore. Explore all 87 feet of this historic marker of the Maryland-Delaware line! What an immersive way to learn about the area! 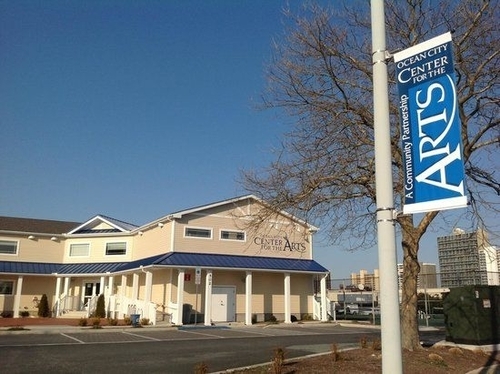 OC Center for the Arts - Visit our local gallery and support art from both famous and local artists! The two-story center has a gallery, a pottery studio, classrooms, and art library, and five artist studios! Come and see the local talent at work! 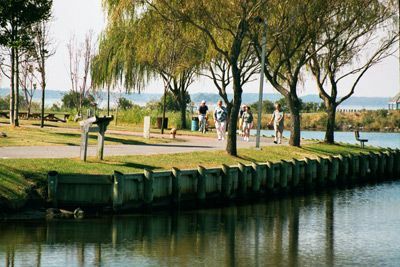 Northside Park - This 58-acre park is the largest park in Ocean City! This park has everything: a huge playground, ball fields, state-of-the-art outdoor fitness area, and paved exercise paths that wind around waterways and gorgeous landscaping. Break for lunch at one of the various gazebos and benches or the picnic pavilion! Head over to the pier for fishing, crabbing, or just admiring the view! Northside Park also hosts many family-friendly events, from movie nights to fireworks to the Winterfest of Lights! 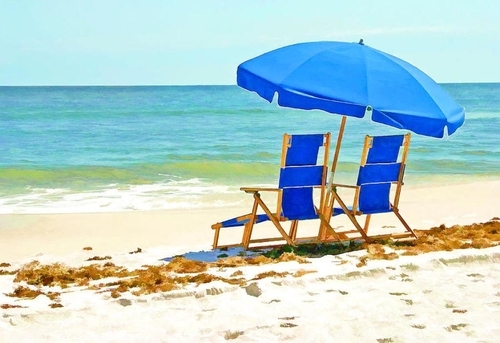 A to Z Rental Service - Whether you need a beach chair, linens, or a crib, this rental service has everything you need! 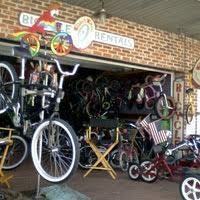 PMI Rentals - Rent beach supplies, linens, bikes, and more for great prices here! 48th Street Watersports - Head over to 48th Street and surf, paddle boat, windsurf, kayak, or sail the day away! There's so much to do and so little time! 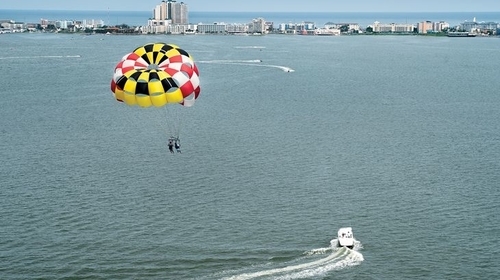 OC Parasail - Soar high above the coastline, taking in the breathtaking view of Ocean City from above! Choose how high you'd like to go and fly, fly, fly! 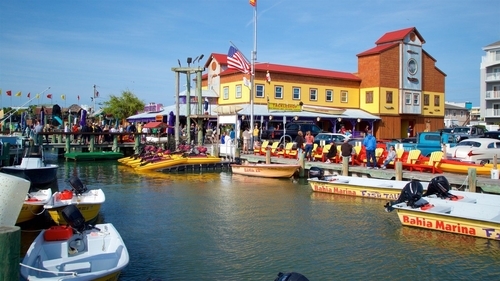 Odyssea Sports - Take a legendary ride across the bay in one of the rentable jet skis and boats! You can even film your experience with a GoPro! Paradise Watersports - The largest watersports facility in Ocean City, there are so many wet and wild activities to choose from! Ride on a jet ski or go parasailing! The choice is up to you! Continental Cycles - Rent or buy quality bikes and scooters here! Cycle City Ocean City - Instead of fighting traffic in your care, why not rent a scooter? Great scooter rentals here! 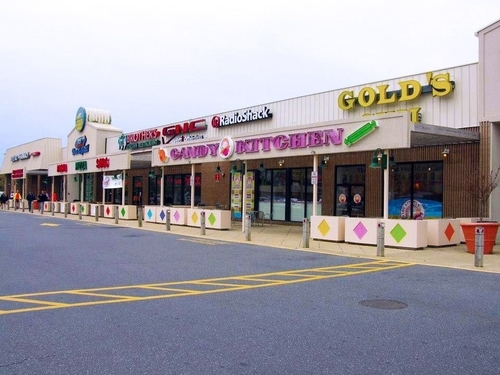 67th Street Town Center - This cute little shopping center is home to nine great businesses! 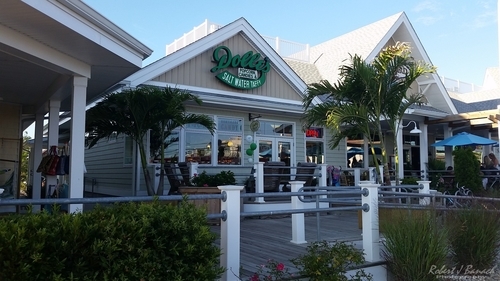 Grab a bite at Mione's or Sweet Frog Yogurt Shop and buy souvenirs at Ron Jon Surf Shop! 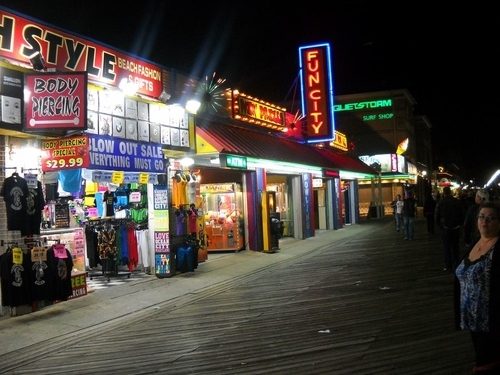 Boardwalk Shops - There are so many fantastic shops along the boardwalk, whether you're looking for a new outfit, beach supplies, or souvenirs! Gold Coast Mall - Browse through shops filled with clothes and jewelry or check out the electronics! Take a break for lunch or see a movie! Get your hair and nails done or go to the gym! Even though it's small, this mall has so much to offer! 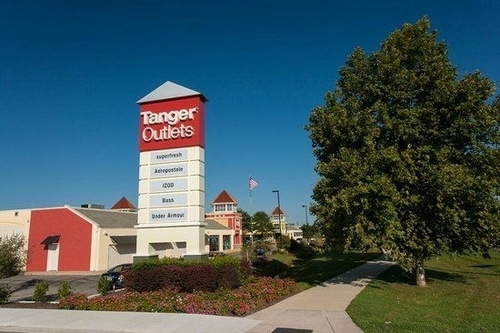 Tanger Outlets - Shop at all of your favorites stores for low, low prices! So many of your favorite brands are here—there's something for everyone! Head over to the outlets and shop till you drop! 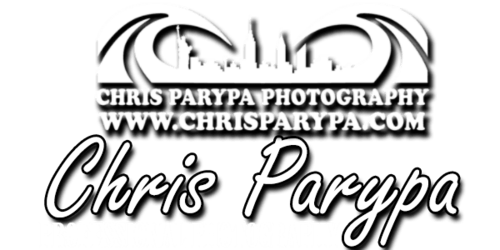 Chris Parypa Photography - Voted the best photographer in Ocean City, Parypa is an expert in family, wedding, engagement photos, and more! Holly Ridge Farm - Take a fun, guided ride on scenic trails at this farm located conveniently just outside Ocean City! Barefoot Beach Bride - Pick a detailed wedding package for any size budget! 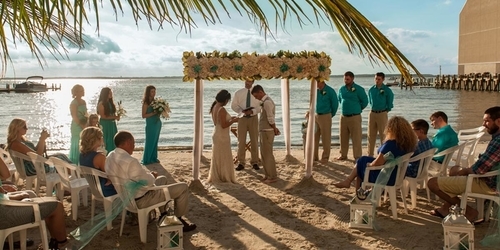 Rox Beach Weddings - This company specializes in coordinating wedding details, from the ceremony to the reception! 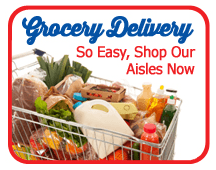 Grocerease4u - Instead of wasting precious vacation time at the grocery store, order your groceries ahead of time! Grocerease will buy and deliver your order directly to you! Pre-order now!